Write (and finish) your Memoir this year! A few students after class Wednesday. With class offerings, from art/music/theater to history/crafts and more, this is a great place for learning and comraderie. My class targets baby boomers. Whether you want to publish, leave a legacy for family and friends or just make sense of your life, do it! NO prior writing experience necessary, but reading the best books is a must! I’ll post juicy nuggets here after each class, for class and aspiring writers not in class. What is memoir?Not to be confused with biography, autobiography or journals, memoir doesn’t (usually) start at birth, chronicle daily life or an entire life story. Memoir is the story of particular life events, that convey a particular theme. Often, memoirs are about surviving, overcoming or enduring difficult situations. Like any good story, they have conflict. Examples: dysfunctional families; illness; caretaking; addiction; divorce; loss of a parent, child or any loved one; uprooting; homelessness; poverty, and many, many more. What is theme? Theme is a message or take-away from your story or book. We begin finding themes through close, deep and often tough examination of our lives. Get into a habit of writing for at least 30 minutes a day. Start with childhood. Write about your first memory. Set a timer for 15 minutes and write freely, without editing or stopping. Write. No right/wrong. 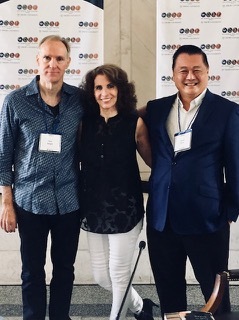 What a pleasure to moderate a panel with authors Thom Sleigh and David Mura. Questions centered around David’s book: “A Stranger’s Journey - Race, Identity and Narrative Craft in Writing” to Thom’s “The Land Between Two Rivers - Writing in an Age if Refugees, a collection of long-form journalism on his time in war-torn ravaged areas of the Middle East and Africa. Such well-researched and relevant texts. Georgia is a WONDERFUL teacher and has inspired me to write every day, which has proved to be a wonderful creative outlet for me that I had never fully developed. I would highly recommend her to anyone interested in writing , whether it be for fun, therapy or profession. 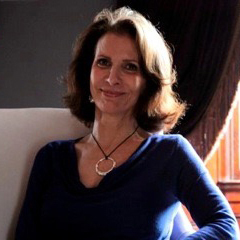 We were so very appreciative of your graciousness and willingness to allow access to such a wonderful space when you were director of Ivy Hall.Please know that we are all grateful for who you are and what you've done for books and their authors in Atlanta.